Northeast Michigan has some of the most breathtaking scenery in the state, and you don’t need to compete with lots of people to appreciate it. This driving tour doesn’t take you along a long stretch of Lake Huron’s coastline, but you’ll be able to enjoy its sparkling splendor from the road, from the beach, and from the top of one of Michigan’s most popular lighthouses. U.S. 23 is the highway to explore the northern region of Lake Huron on the east side of the state. Tawas and East Tawas sit on Tawas Bay. One of the most popular stops is the Tawas Point Lighthouse. For $2 per person (guided tours are $5 per person), you can climb the white tower of this historic light that was built back in 1876. There’s also a museum and small gift shop. Tours are every hour all afternoon. Visit Marion’s Ice Cream Parlor, a ‘50s themed ice cream shop that offers every cool concoction and treat. It’s an iconic establishment in East Tawas that you don’t want to miss. 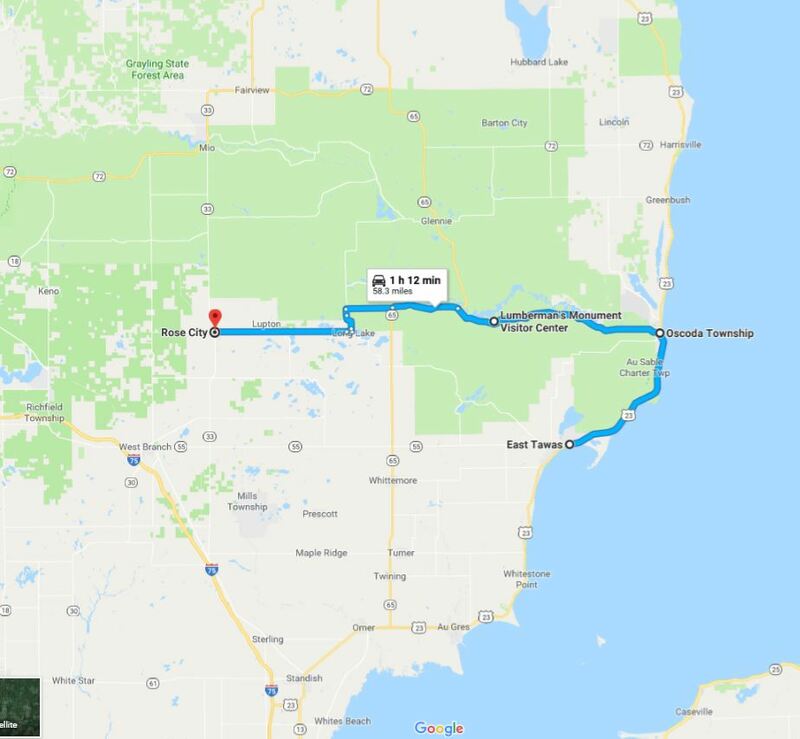 After your refreshing ice cream, travel north alongside Lake Huron for about 25 minutes until you reach the town of Oscoda. There, just off of U.S. 23, stretch your legs and relax at Shoreline Park, which provides access to several hundred yards of sugar sand beach. There are picnic tables, grills, and a gazebo within the park, too. If you have a pet along, this is the ideal spot to play some fetch or let them play in the surf. From Oscoda, turn onto M-65, River Road. This 22-mile stretch is known as the River Road National Scenic Byway. It’ll take you about an hour to meander your way through the historic and enchanting Huron-Manistee National Forest. There are several stops to make along the way. Iargo Springs is a natural spring with several dams that create waterfalls. There are steps and a wooden boardwalk. From the viewing decks, you can see the beautiful Au Sable River (but the best view is yet to come). Just up the way, an easy walk, is Lumberman’s Monument, a large bronze statue depicting three figures and dedicated to the workers of Michigan’s logging industry. Eagle’s Nest Lookout is one of the most famous overlooks in the national forest. Regardless of the season, the panoramic view is good for the soul. A few miles beyond the Huron-Manistee National Forest border is the little town of Rose City. End your driving tour with a celebratory glass of wine at Rose Valley Winery. The tasting room has a friendly exterior and an up-north vibe on the interior. The winery creates dessert wine (maple syrup! ), fruit wines, and red and white wines. It’s the perfect final stop to talk about the adventures of the day. What else is there to do? 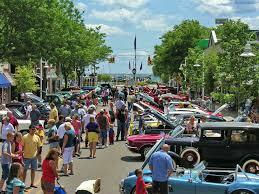 Here are some events in Northeast Michigan you won’t want to miss. If you happen to be on this driving tour in summer or fall, you might come across one of these events. Check out our calendar for a complete list of events.